Accounting Department, Management Faculty, University of Łódź (UŁ), Poland. Member of the Polish National Accounting Standards Committee. Since 1984 employed at the University of Łódź, Poland. Secondments and abroad scientific research programmes, mainly in UK, France and Sweden, including the post of research assistance at the Thames Valley University, London, UK in 1991 - 1992. 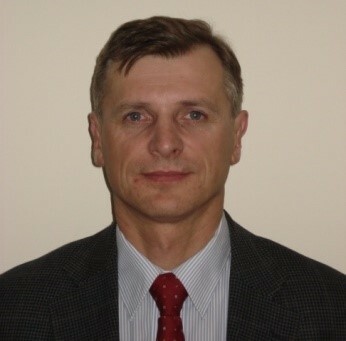 Since May 2004 – Head of the Postgraduate Studies in Accounting and Financial Management at the Management Faculty of the University of Łódź, Poland. Since September 2004 – Coordinator, Adviser and Chief Consultant for International Reporting Standards Diploma, based on ACCA Programmes, run by the Accountants Association in Poland. Since May 2004 – Member of the Polish National Accounting Standards Committee. Since 2005 Official Delegate of Polish regulator in accounting (National Standard-Setter) for Cooperation with IASB. Participant of all World Standard-Setters Meetings in London. Since October 2010 – Head of the International Accounting Unit at the Department of Accounting in UŁ. Since October 2010 – Head of the Centre for International Accounting Studies at the University of Łódź. Since June 2016 – Member of the Audit Oversight Committee in Poland. In 1997 – 2000 – Member of the Polish Governmental Group on Accounting Act 2000. In 2008 – 2009 Member of the Ad-Hoc Informal Reflection Group on the Review of the EU Accounting Directives – established at the Directorate-General of Internal Market and Services of the European Commission. In May 2009 – May 2014 Member of the EFRAG’s Working Group on SME’s Accounting and Financial Reporting. In 2014 – 2015 Adviser for the World Bank Centre for Financial Reporting Reform. Member of European Accounting Association, American Accounting Association, Association of International Accountants, Stowarzyszenie Księgowych w Polsce (The Accountants Association in Poland), including Member of the Scientific Board and post of Vice-chairman of the International Relations Commission. Since 1997 – Chief Executive of the Foundation of Capital Standards Development, nominated by the Ministry of Treasury in Poland in cooperation with the President of the Polish Securities and Exchange Commission. This organisation established the first Polish Accounting Standards Committee, run in 1997 – 2002. Since 2010 – Member of the Polish Editorial Committee for IFRS official translations. Author and co-author of about two hundred scientific and popular published papers, elaborates and books (including Textbooks). Main interests focus on business combinations, especially in international context, transformations and divisions of companies and group accounts. Co-author of the first Polish translations of Accounting EC Directives and International Accounting Standards, published in 1989-1990. Cooperation with practice (non-listed and listed companies, consulting, and auditing firms) and practitioners training programmes in professional financial accounting.